During this unique journey through Oaxacan tradition, share the kitchen and the table with local people in the countryside and one of the capital city’s most celebrated restaurants to gain new insight into the human history behind foods new and familiar. 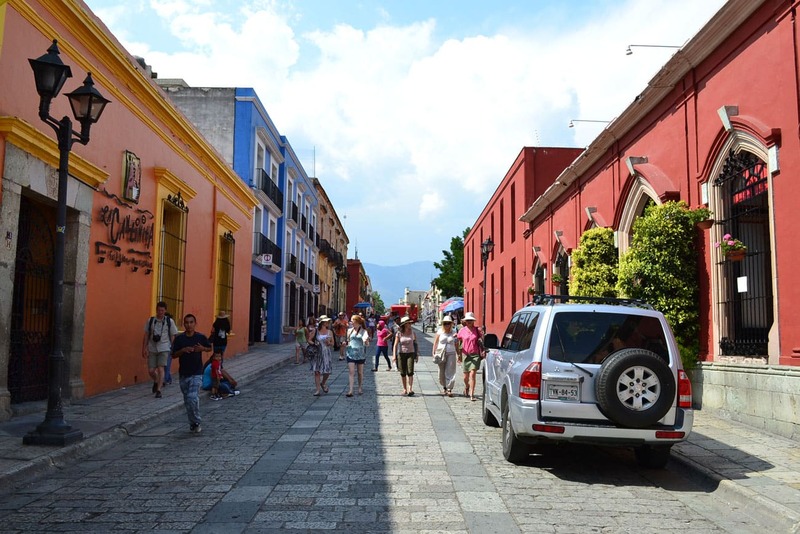 Upon arrival in the cultural capital of Oaxaca, enjoy a private transfer to your home for the next three nights. Built in 1576 as the Convent of Santa Catalina de Siena, the delicate feet of nuns trod the corridors of this hotel for almost three centuries. At the height of political turmoil in 1862, the nuns were ordered to abandon the convent, and their former home was turned into offices for municipal bureaucrats until 1972, which is when restoration began. The National Institute of Anthropology and History (INAH) supervised the interior decoration. Teams of experts restored the frescoes that adorned the ancient walls. Floors were returned to their original designs and, where possible, the artistic treasures of yesteryear were repaired. No two rooms are identical in the Camino Real Oaxaca, but all of them offer modern comforts against a Spanish colonial backdrop. Before returning to Oaxaca City (Teotitlán is approximately 20 miles from the Centro Histórico) visit a local distillery to learn about the production of Mezcal from agave. While the spirit has grown in popularity internationally over recent years, the world’s best is still produced in Oaxaca. Sample fine, smoky reposado and añejo varieties in the late afternoon. Roughly 4000 years ago, a village-dwelling people of unknown origin (believed by many to have been Olmec colonies) moved into the Oaxaca valleys. 1500 years later, the Zapotecans moved into the region. One of these groups then began the monumental task of leveling the top of a 1,600 meter high mountain that intersects and divides three valleys to build Monte Alban. Remaining structures exhibit advanced engineering skills in subterranean passage ways and rooms, drainage and water storage systems. After spending time in the countryside with local campesinos, learn about the contemporary flavors that continue to attract international attention to Oaxaca with local top chef Alejandro of Casa Oaxaca. Visit the great central market and add your discuss the ancient traditions and more cosmopolitan approaches to a range of local dishes. Through his personalized course, Alejandro will guide you to experience different flavors of Oaxaca, sharing his gastronomical knowledge along the way. Discuss your recent discoveries in the Zapotec communities with Chef Alejandro for further insight into Oaxaca’s cuisine. Peppers, chocolate, seafood from Veracruz and the southern coast – all of these elements are combined on local tables. Prepare another special meal today and enjoy along with a selection of artisanal mezcals. Chef Alejandro Ruiz’ restaurant is located approximately two blocks from the Quinta Real. Today you will join a local shaman for a Temazcal purification ceremony so that you may better reflect on the culinary and cultural insight of the previous days and return home with new approaches to your own crafts. The hot stones combined with carefully-selected herbs in the sweat lodge in the will then be used to prepare a traditional meal known as Caldo de Piedra, or stone broth. Today you will be met at your hotel and transferred to the airport for your flight home or to continue on your Willing Foot adventure.